Hope you had a wonderful weekend! We've extended our weekend to a whole week... and we're eating our way through Boston, MA. Follow us on Instagram (@wcchicago) to see what delicious things we're up to! Since we're visiting the east coast, it seems only fitting to share a seafood recipe or two with the abundance of fresh seafood. 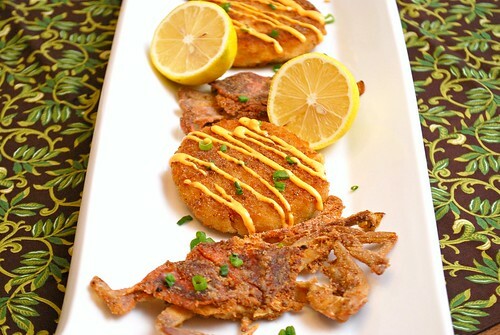 That's why I'm highlighting soft shell crab and crabcakes! Dry each crab on paper towels to soak up any moisture. Season with salt, pepper and garlic powder. In a shallow dish, combine together the flour and cornmeal. 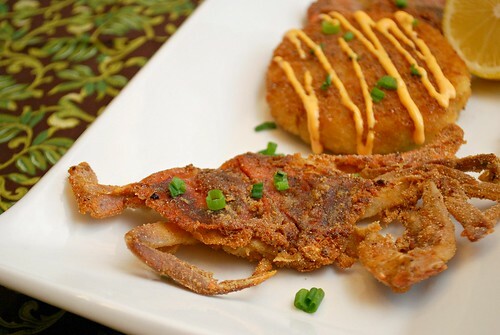 Dredge seasoned crab in the flour mixture. Add olive oil to a skillet set over medium high heat. When oil is hot, carefully place crabs in skillet and cook 1-2 minutes or until golden brown on both sides. Transfer cooked crabs to paper towels to soak up excess oil. Serve hot. 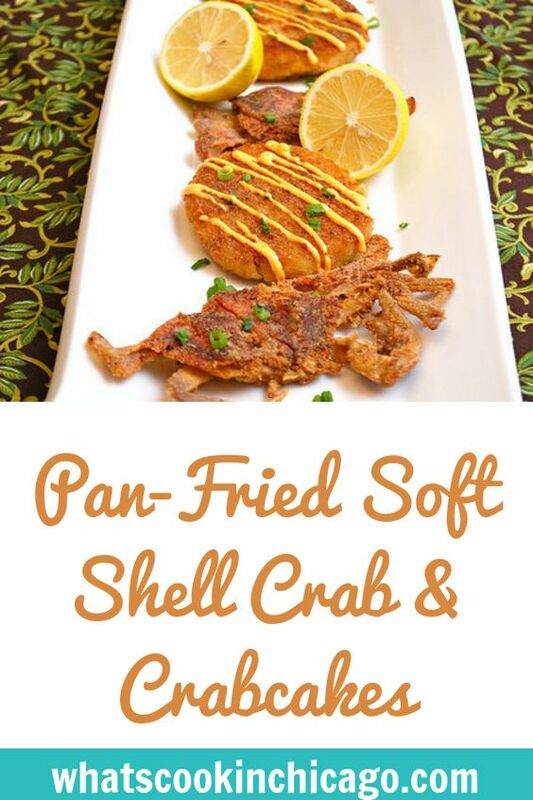 Combine all the crabcake ingredients, except the oil, in a medium bowl. Divide the mixture into 4-6 portions, forming each portion into a patty. Add olive oil to a skillet set over medium high heat. 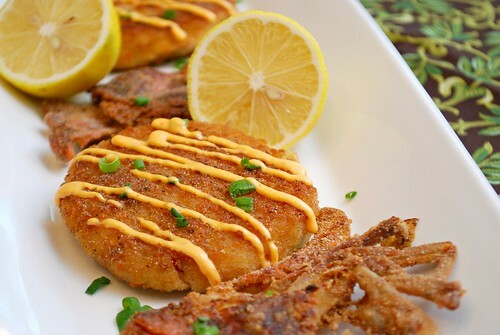 When oil is hot, carefully place crabcakes in skillet and cook 3-5 minutes or until golden brown on both sides. Transfer cooked crabs to paper towels to soak up excess oil. Serve hot; drizzled with spicy mayo (optional). *Spicy Mayo - combine mayonnaise and sriracha, stirring until well incorporated. For easy use, transfer mixture to a small squeeze bottle or simply spoon on or serve on the side if desired.